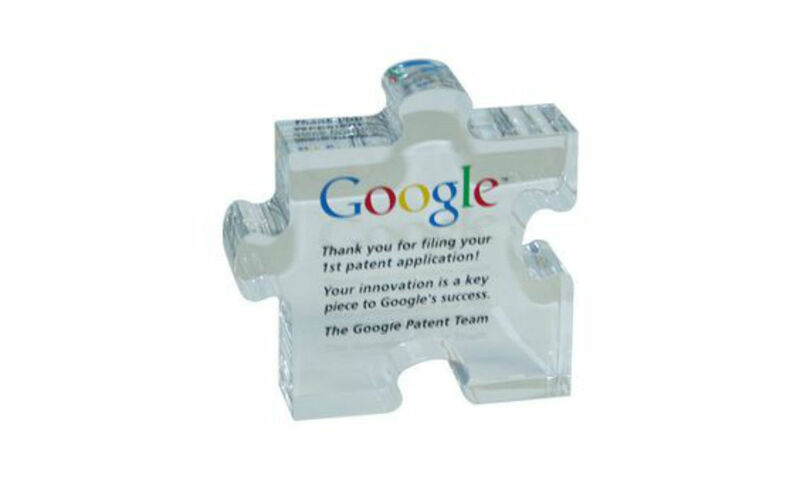 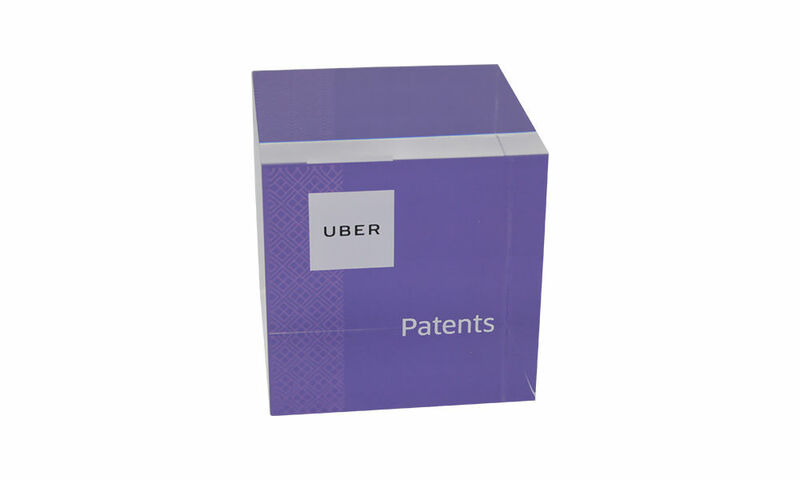 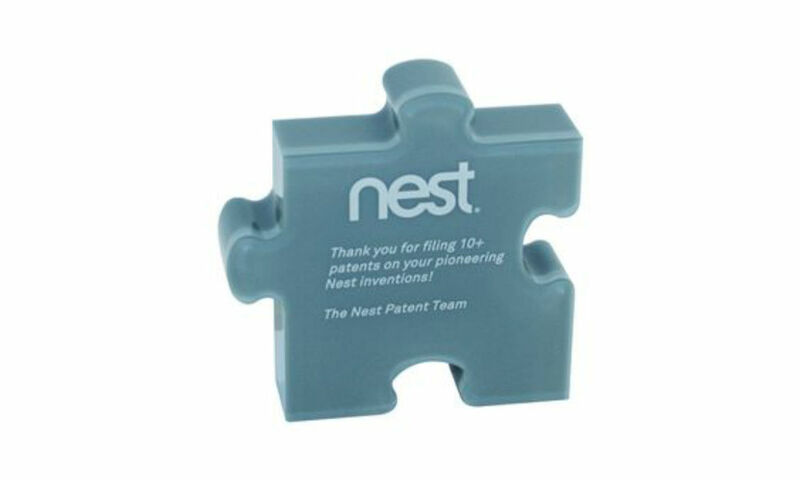 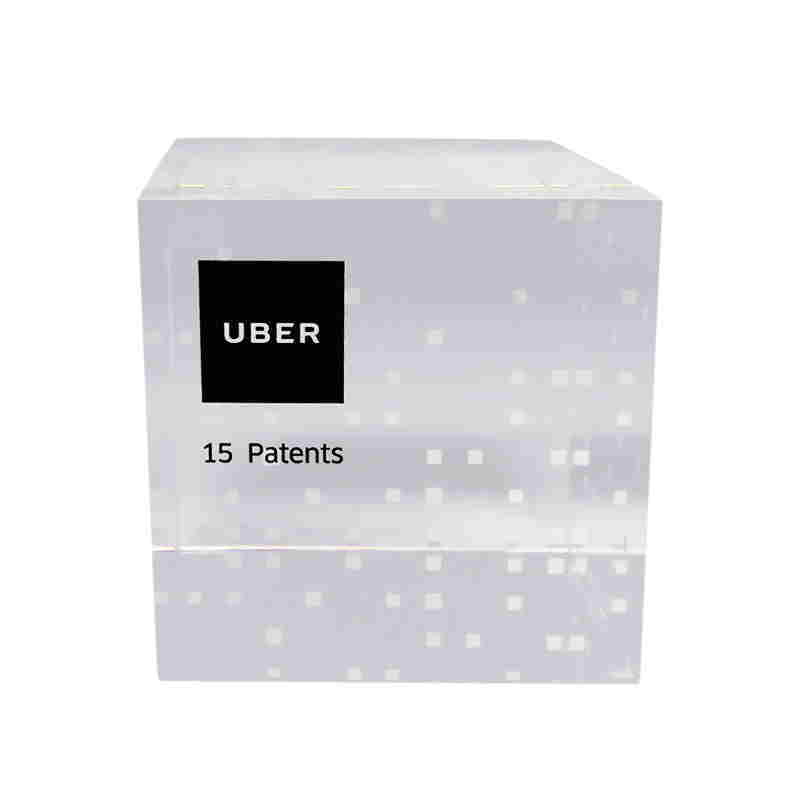 Puzzle-themed custom acrylic award celebrating a first employee patent filing at Google. 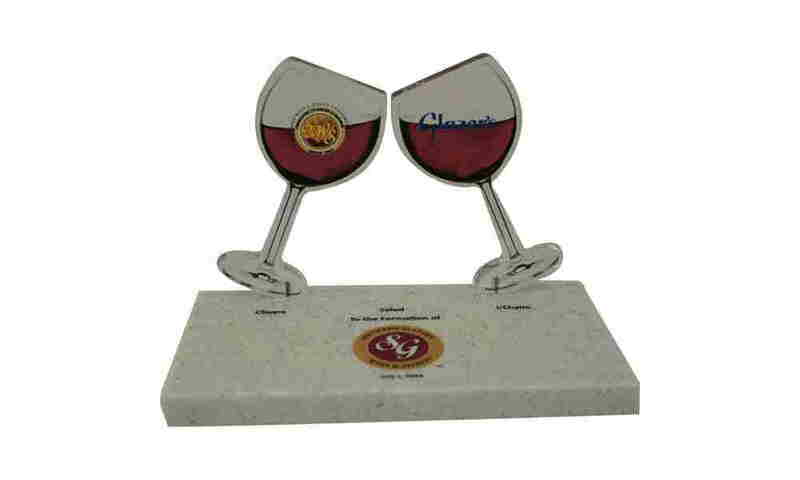 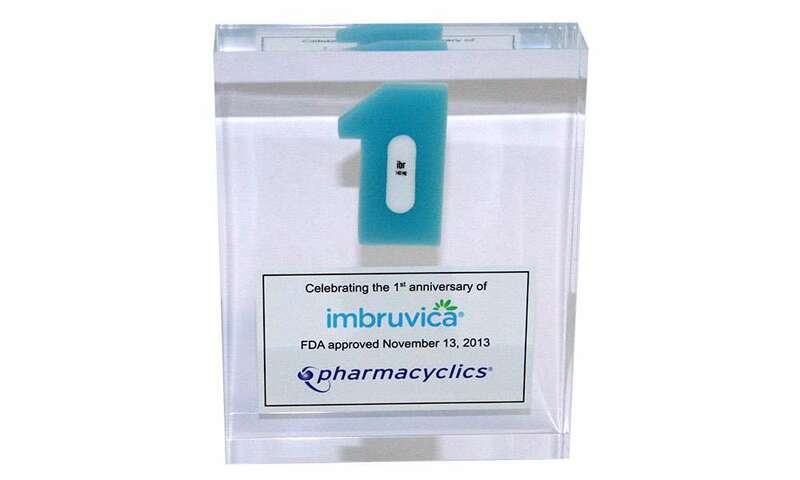 Custom acrylic team award recognizing contributions to the launch of Imbruvica, developed for the treatment of lymphoma and leukemia. 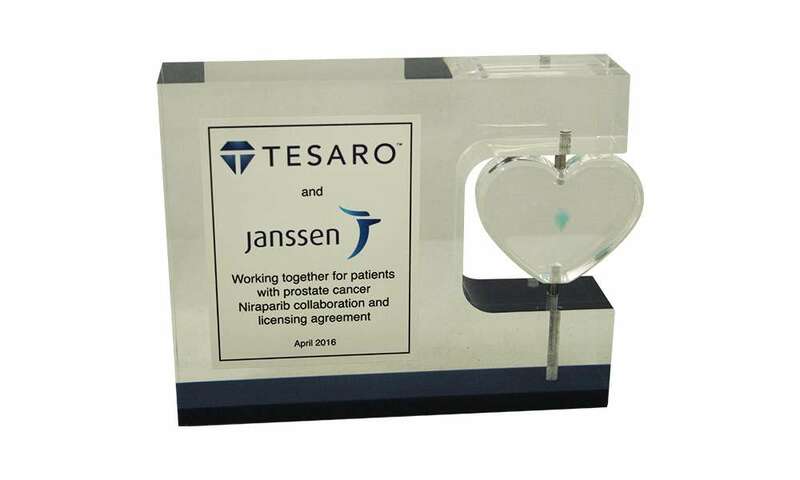 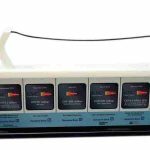 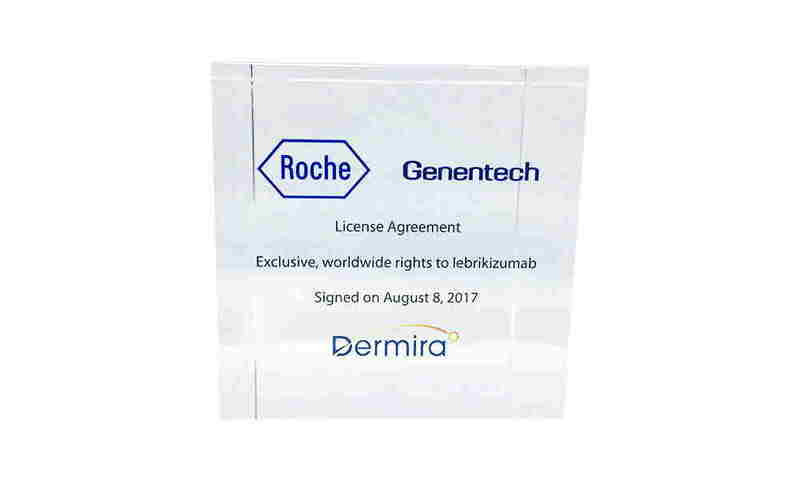 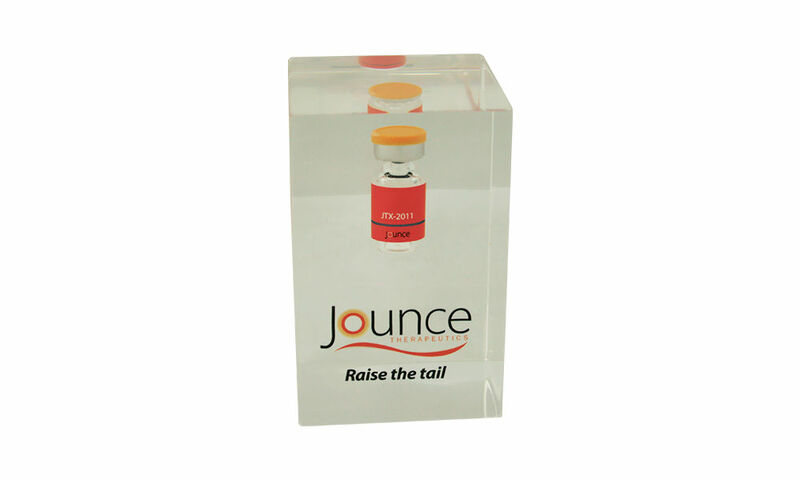 Custom Lucite marking a global joint venture between Janssen Biotech and TESARO. 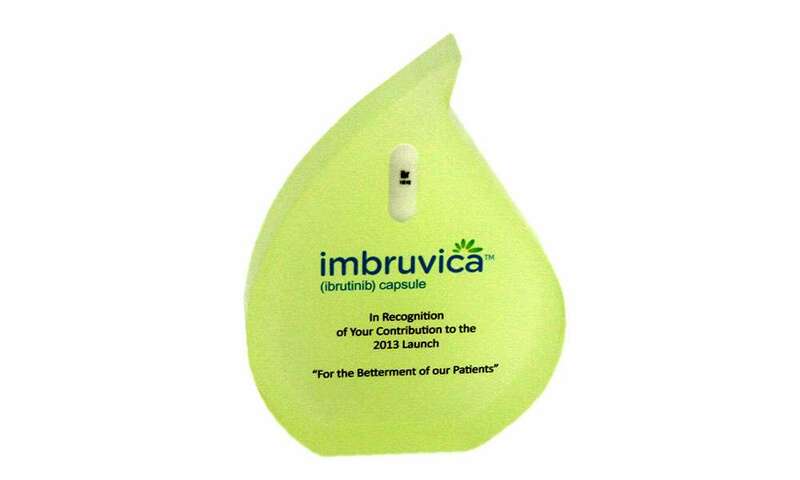 The partnership is focused on the treatment of prostate cancer. 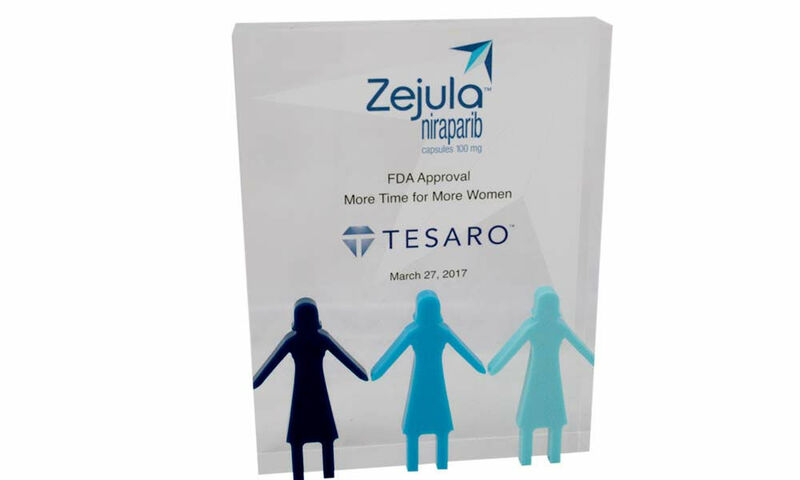 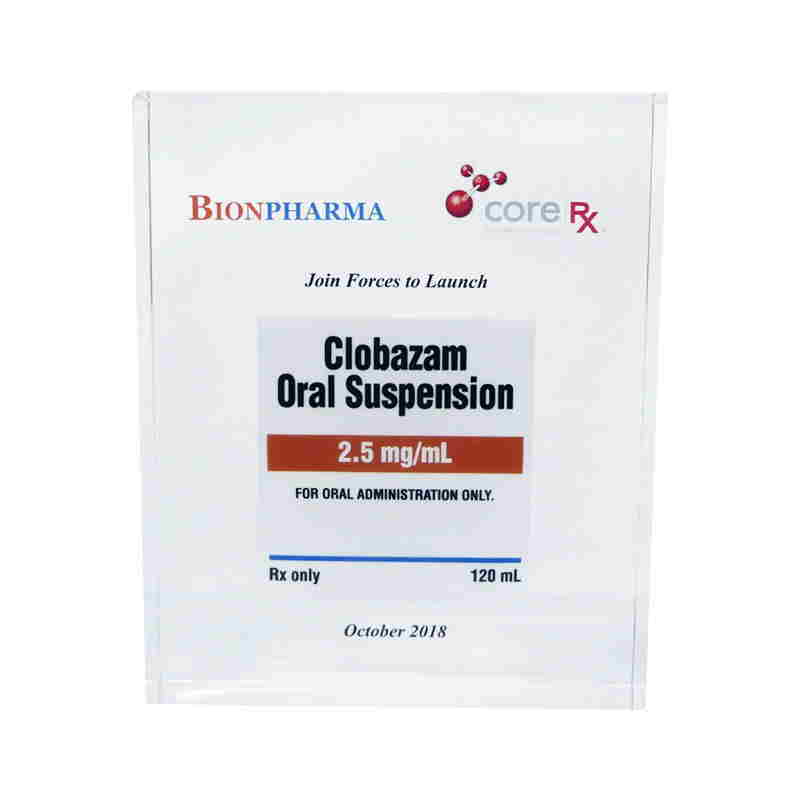 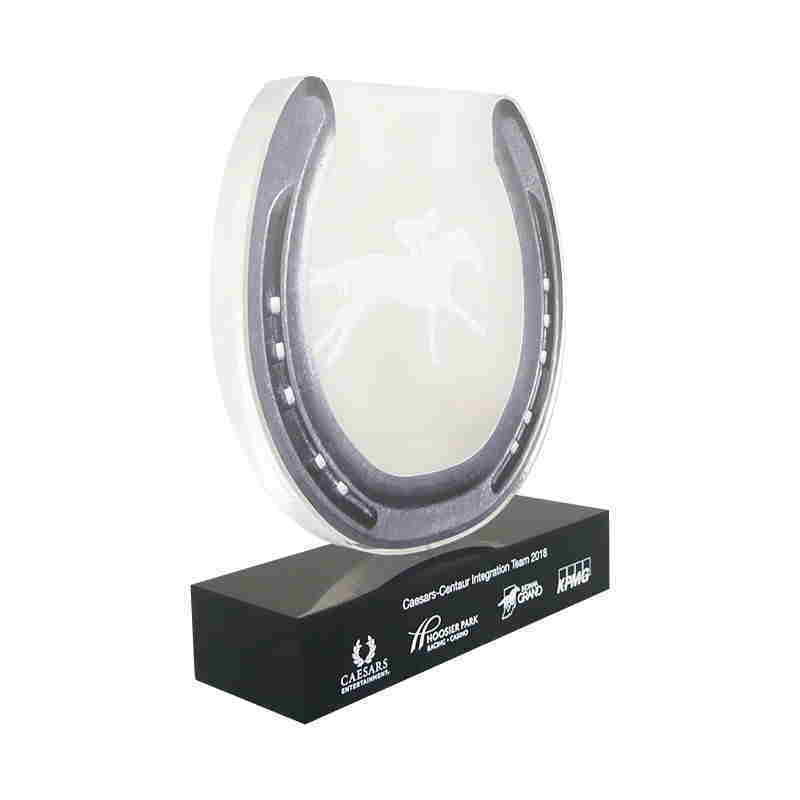 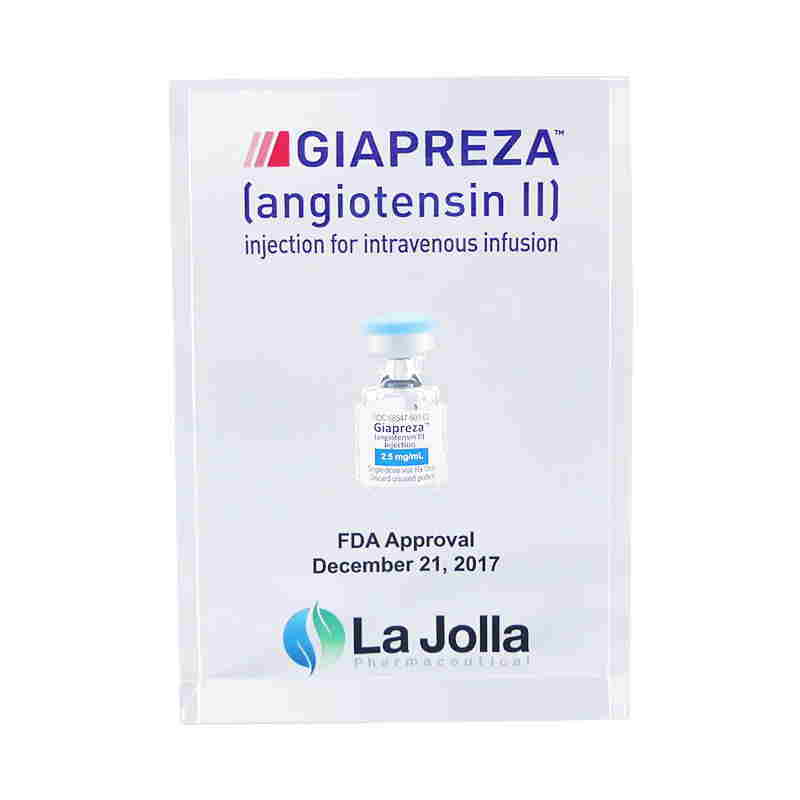 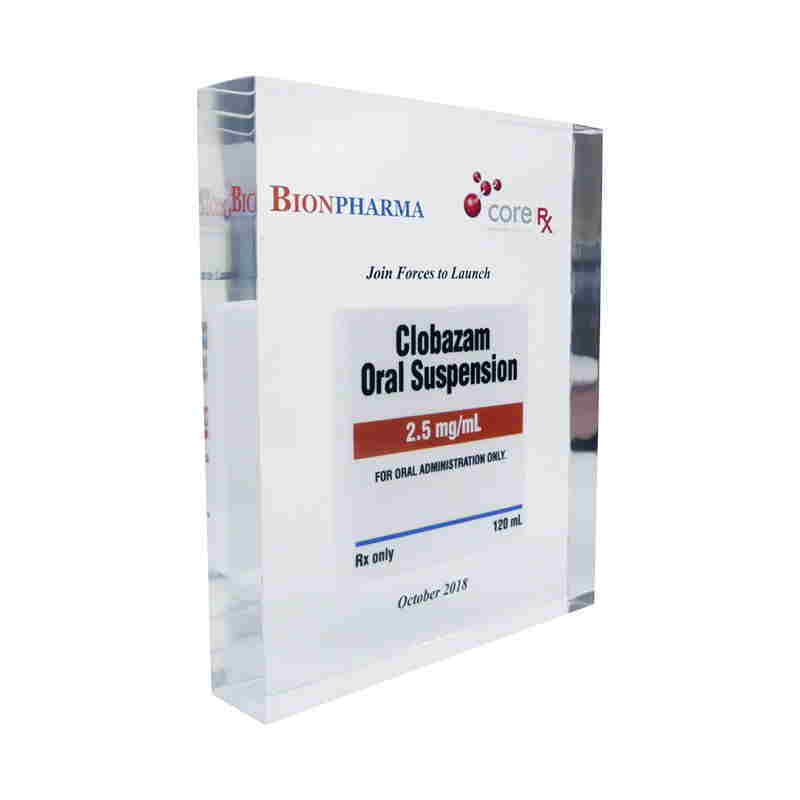 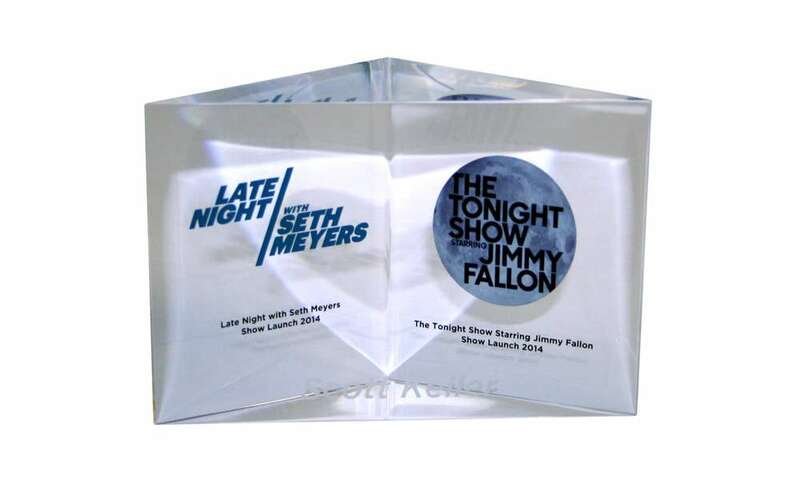 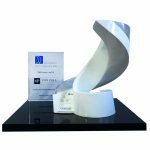 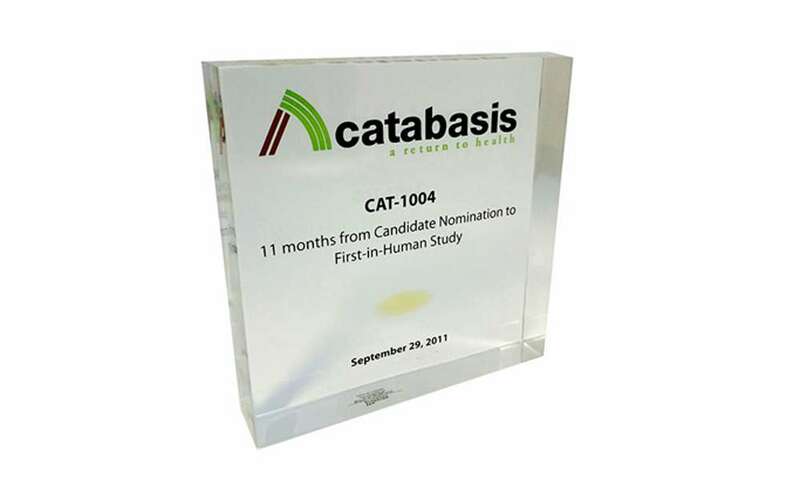 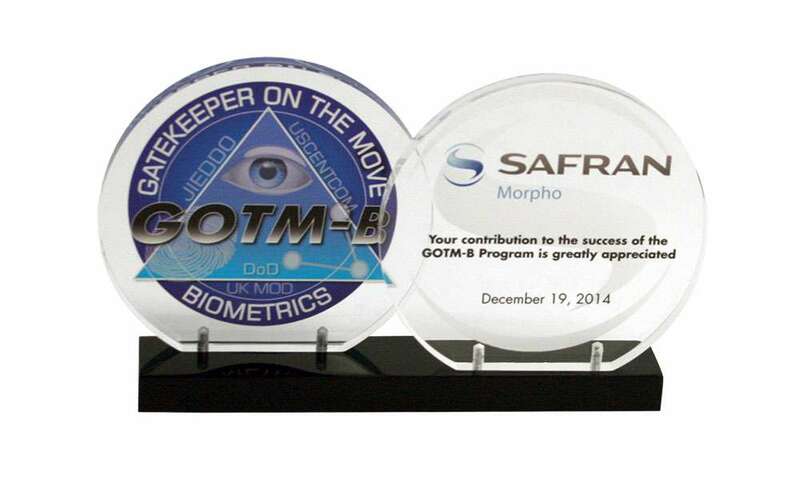 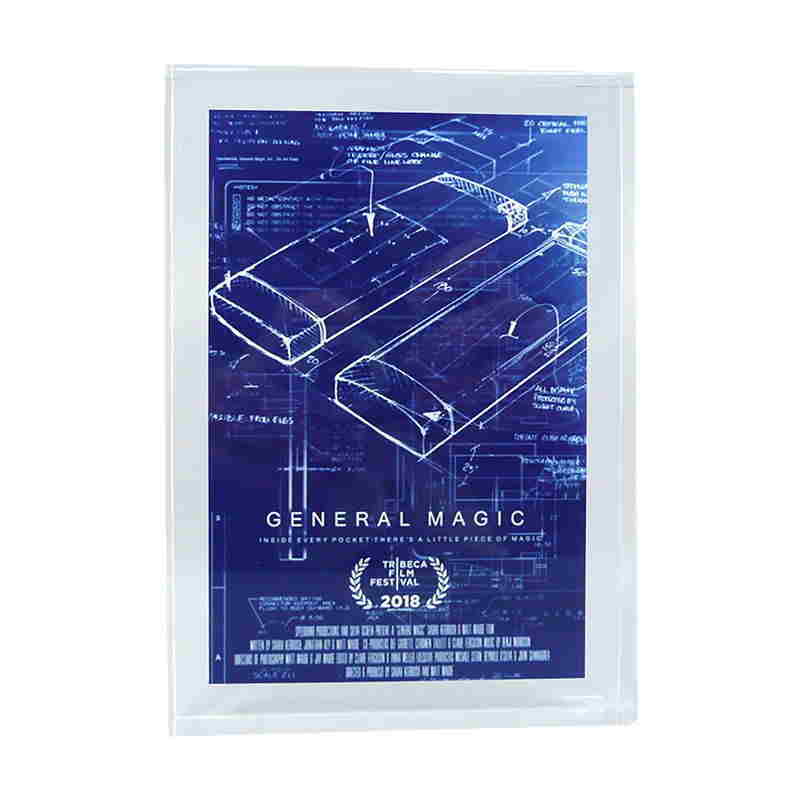 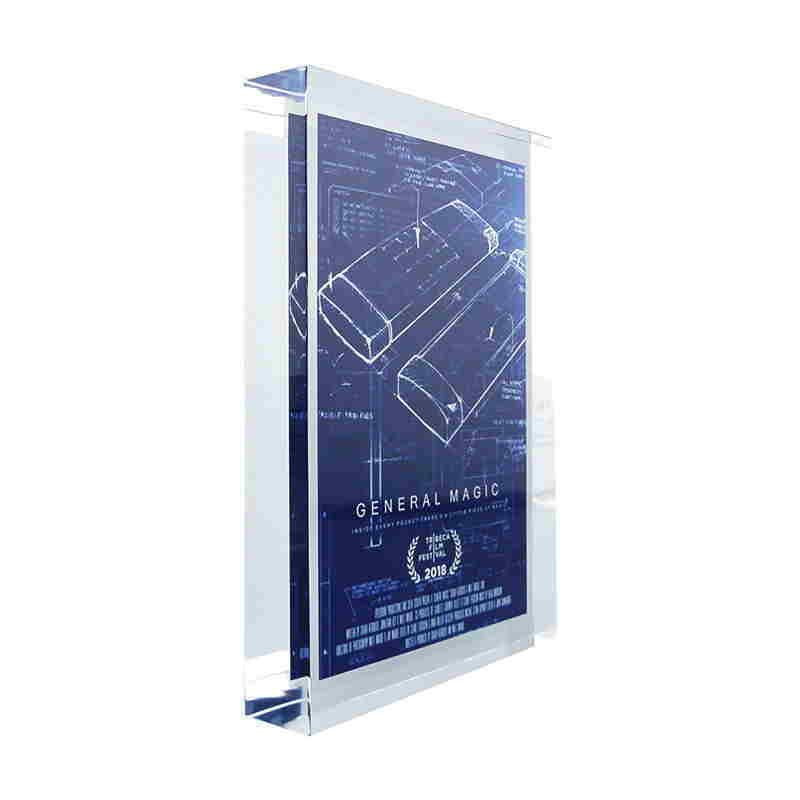 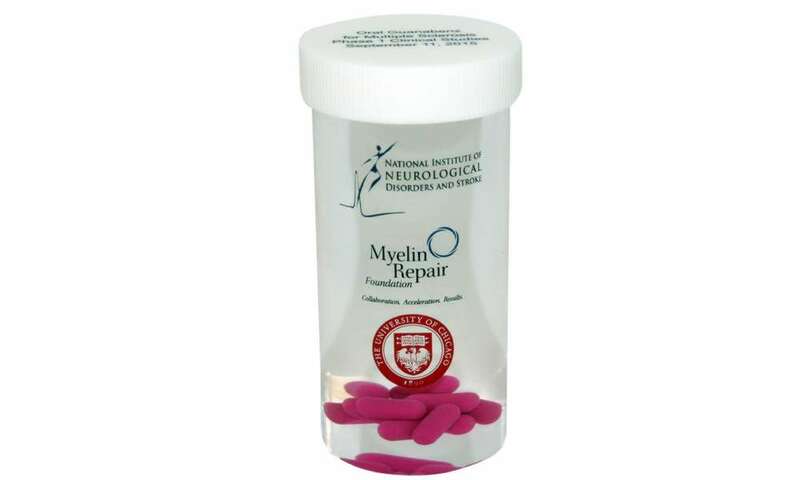 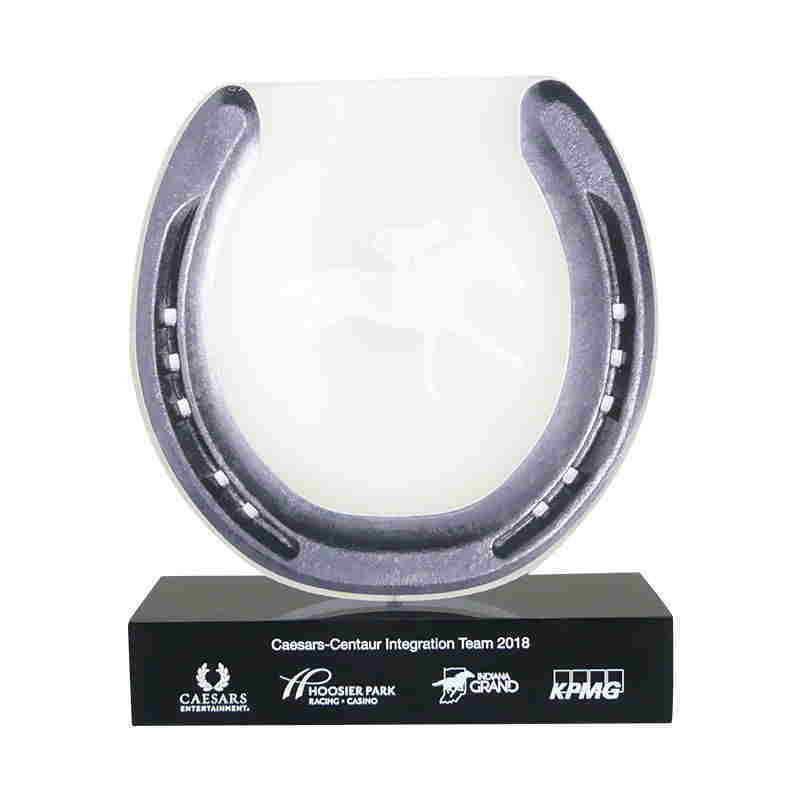 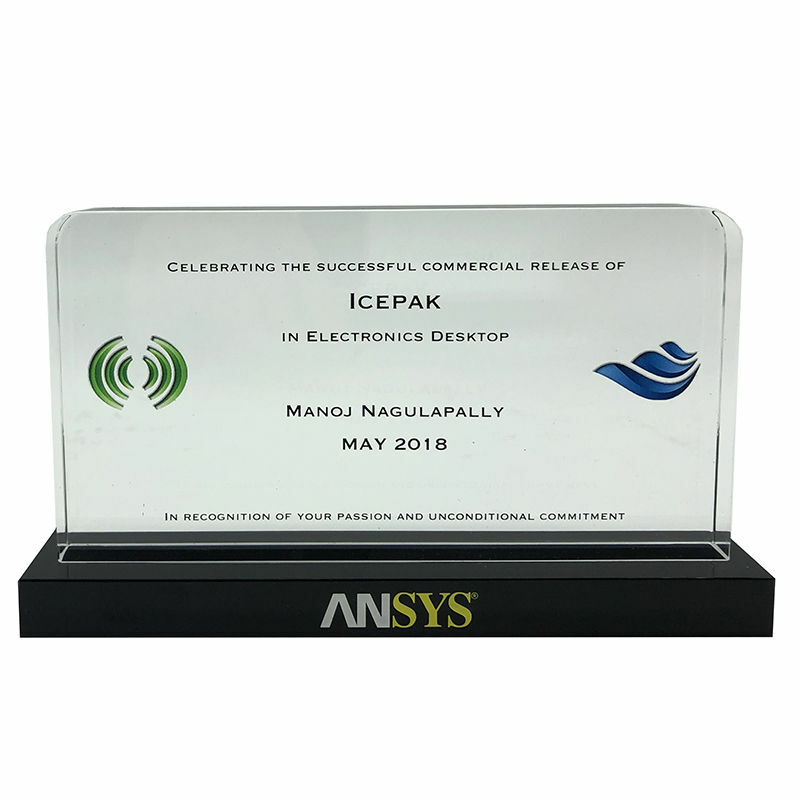 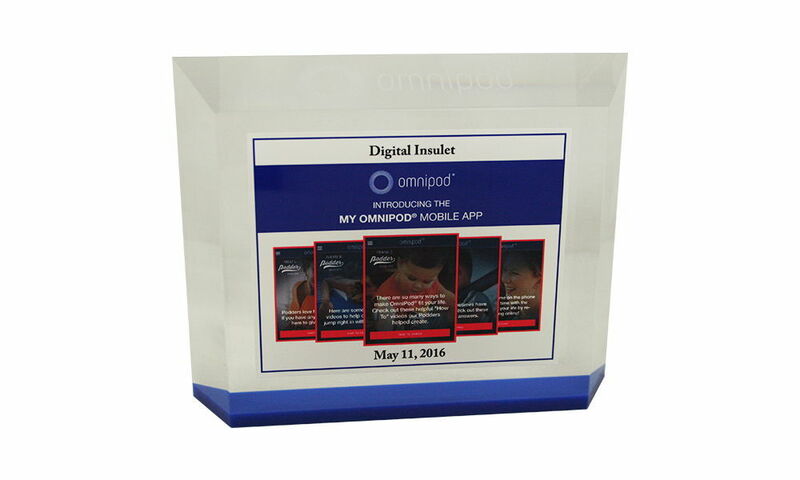 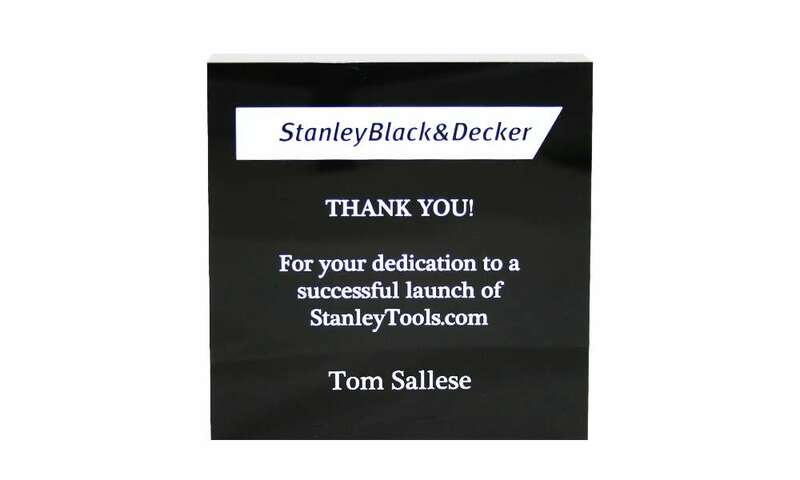 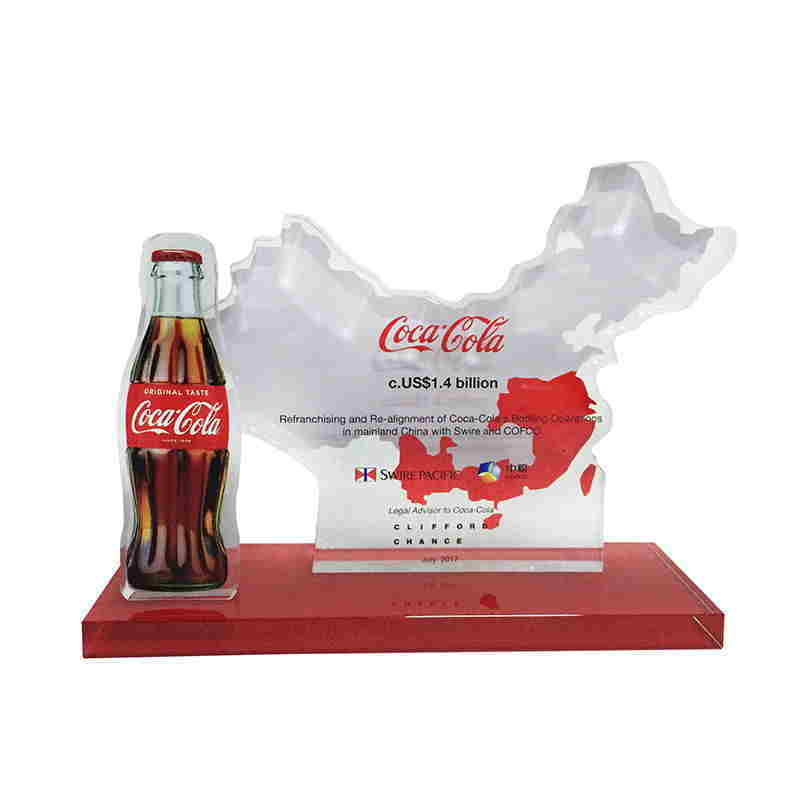 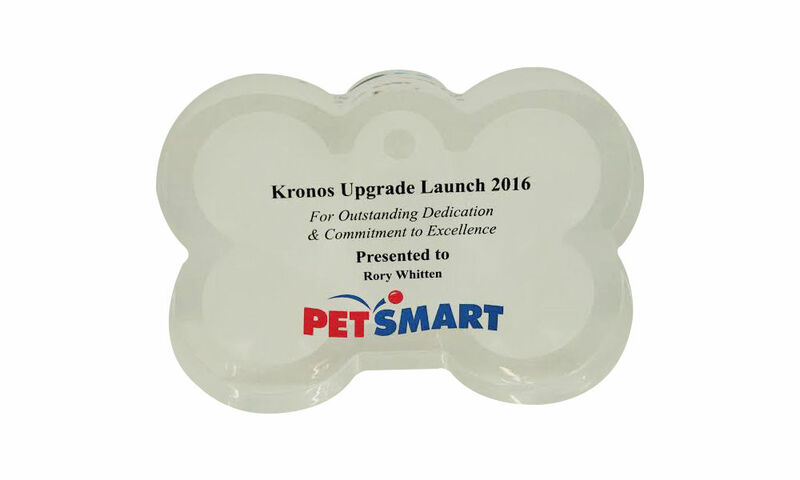 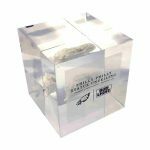 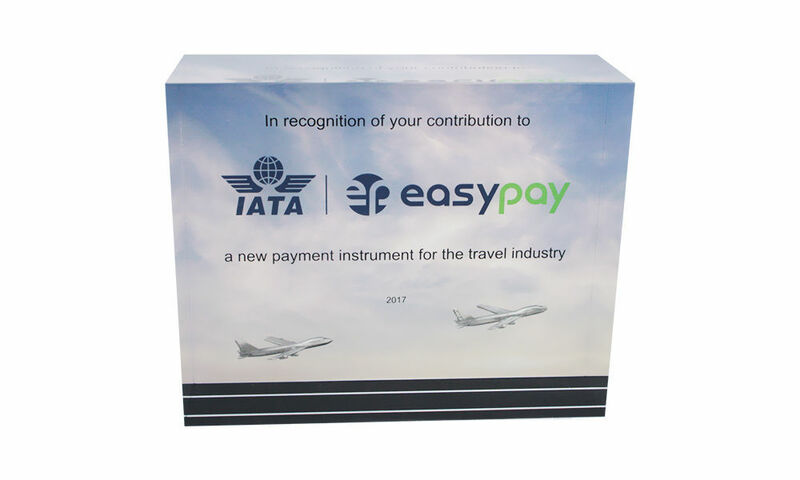 Custom acrylic award commemorating first-in-human study conducted by Catabasis Pharmaceuticals.